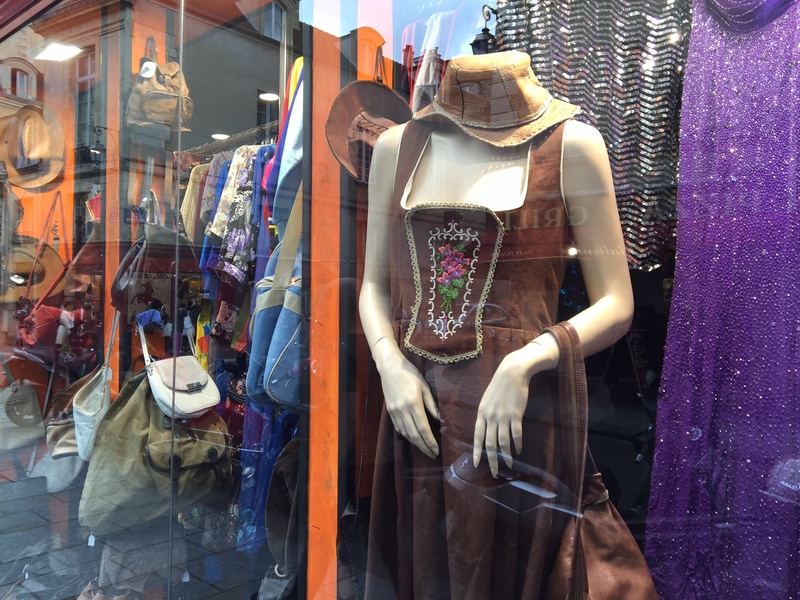 Paris is brilliant for vintage, you just need to know where to look! This week I went to Paris with my boyfriend for a few days! It’s a place I’ve always wanted to visit and I’ve heard great things about the vintage scene there so as you can imagine, I was very excited! The trip was quite spontaneous, meaning there wasn’t much time to research the locations of vintage shops and markets. 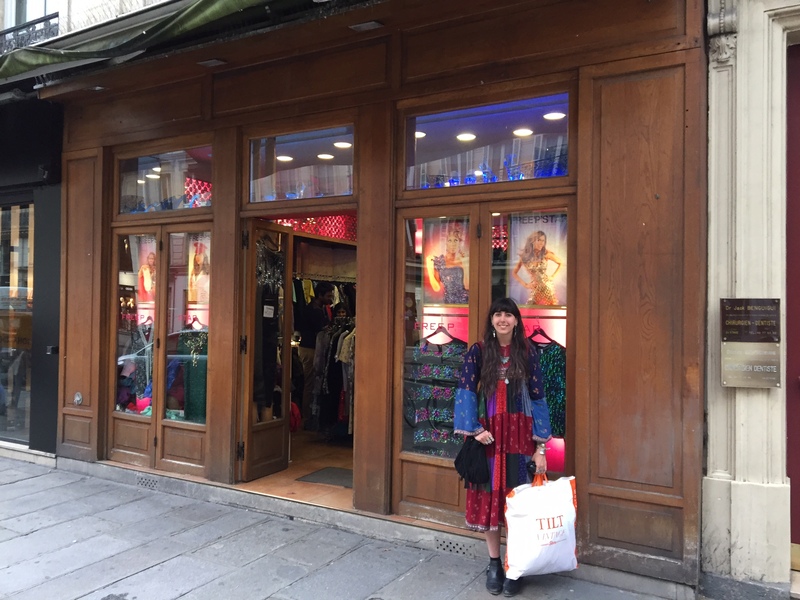 When first arriving in Paris, I struggled to find good vintage shops. Google was recommending plenty of vintage designer boutiques and 80s/90s shops, which is exciting to some, but not really my thing. So on a bit of a goose chase, the first vintage shop I found was Kilo Shop in Saint-Germain-des-Prés. I thought this shop was alright, there were a few decent pieces, but it was mostly full of 80s/90s vintage and menswear. Additionally, you should be aware of certain sections in the shop claiming to be vintage, but actually full of new clothes. Saint-Germain-des-Prés is definitely worth checking out, despite not being packed full of vintage shops. There’s plenty of lovely cafe’s, bars and jazz clubs! You can also try the most amazing Nutella crepes from the crepe van on the Boulevard! Next, I stumbled upon Mad Vintage when visiting the Centre Georges Pompidou (it’s literally just opposite) What I found so great about Mad Vintage was the variety of pieces from different eras! This wonderful shop has entire rails of 60s dresses, 90s shorts, 70s maxi’s and even suede. Everything’s arranged by decade, making it so easy to rummage through! I’d definitely recommend this one! On the last night, just by chance, I struck vintage gold! 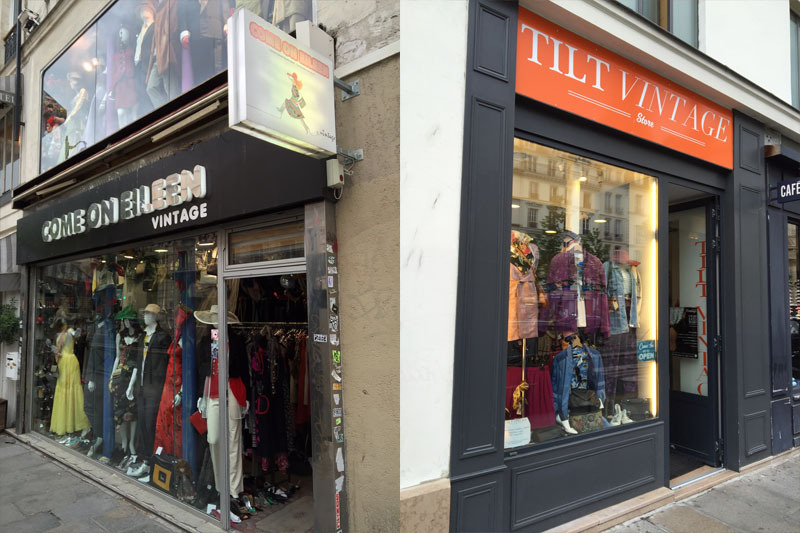 I spotted Tilt Vintage, a lovely shop that had stunning vintage from 1960s-1990s. 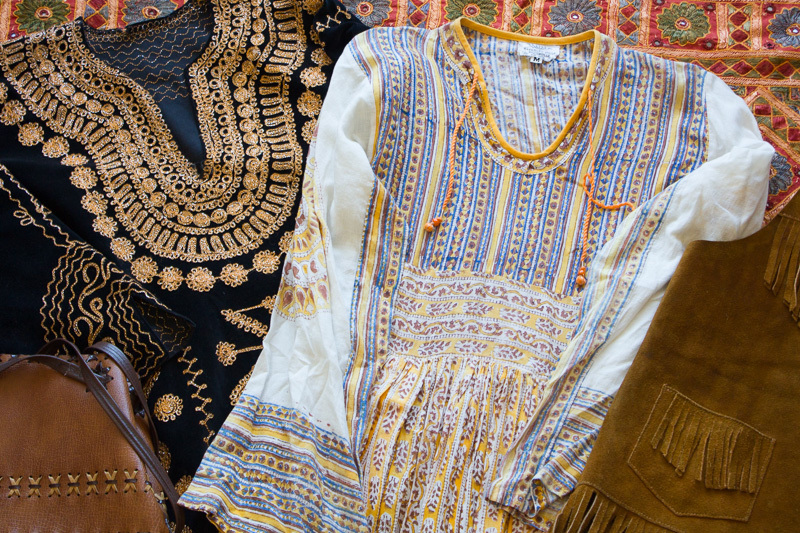 Whatever your taste, you’re likely to find something in Tilt Vintage! 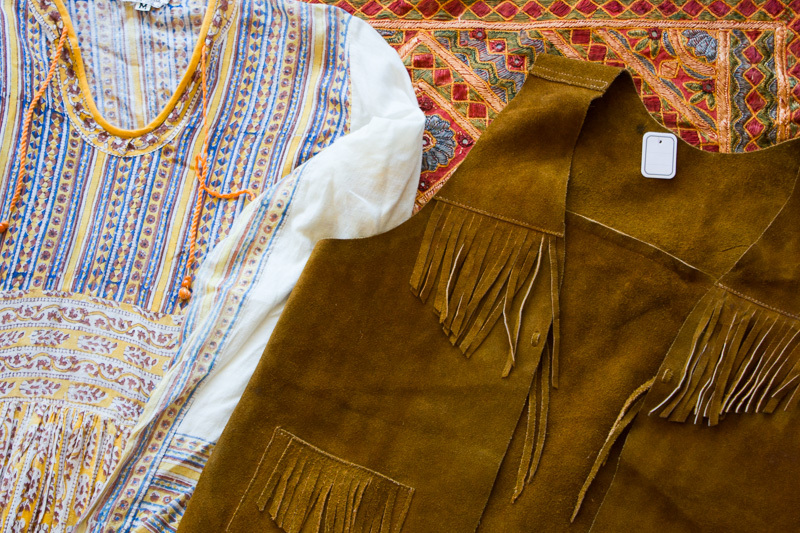 From Indian gauze dresses to classic biker jackets, this amazing shop is carefully curated full of wearable vintage! The lady that worked there was lovely and spoke good English, she even advised where to find more vintage shops in the area. Just a little further down the same street as Tilt Vintage, there’s some brilliant vintage shops! Free’P’Star is a rummagers dream, packed full of vintage with prices ranging from $3-30. 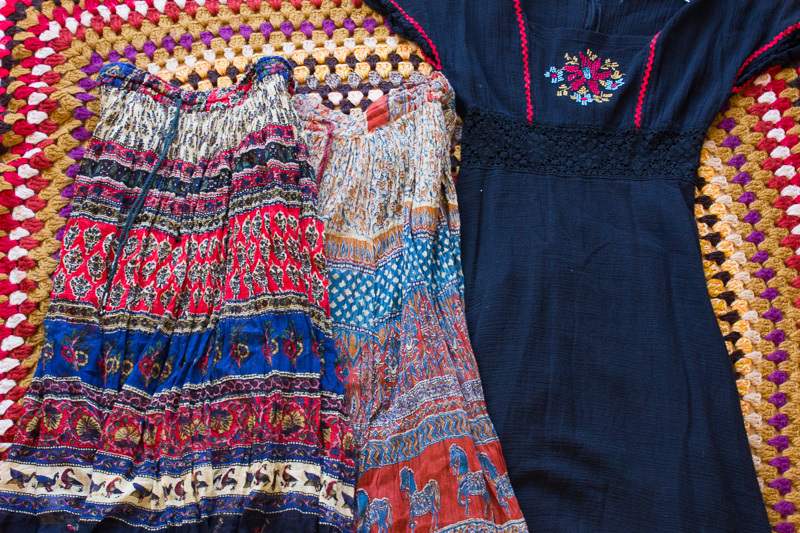 There’s plenty of Indian cotton skirts, 60s mod dresses and 70s gypsy blouses. It’s one of those places where you’ve got to have a good browse, so make sure you’ve got time to rummage through! Free’P’Star is a wonderful, cheap place to shop, with 3 shops in Paris. I only got chance to visit the Rue de Rivoli store, but would definitely recommend it and visit the others next time! Finally, I popped into a great little shop called Come On Eileen Vintage. Despite not being an entirely vintage shop (it featured some traditional Afghan and Indian wear) I found some incredibly stunning pieces! Two of which came home with me. It’s an Aladdin’s Cave of 60s, 70s and 80s goodness, any vintage lover should have a rummage! So there we have it, a mini vintage guide to Paris. I’m aware that it’s not the most comprehensive, but even if it’s just of some help, I’ll be happy! Next time I visit, I’ll expand my vintage hunt to more of Paris! It’s a great city, I’m sure plenty of you have been already, but if not, it’s really worth visiting! Paris is full of wonderful sights, cafes, restaurants, tourist attractions and of course, vintage shops! Don’t forget you can follow The Vintage Wardrobe on Instagram, Facebook and Twitter for more photos of Paris, first looks and offers!